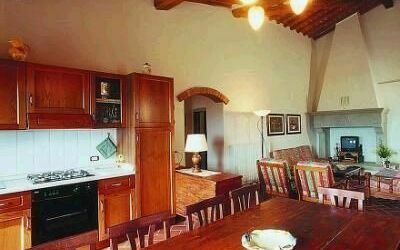 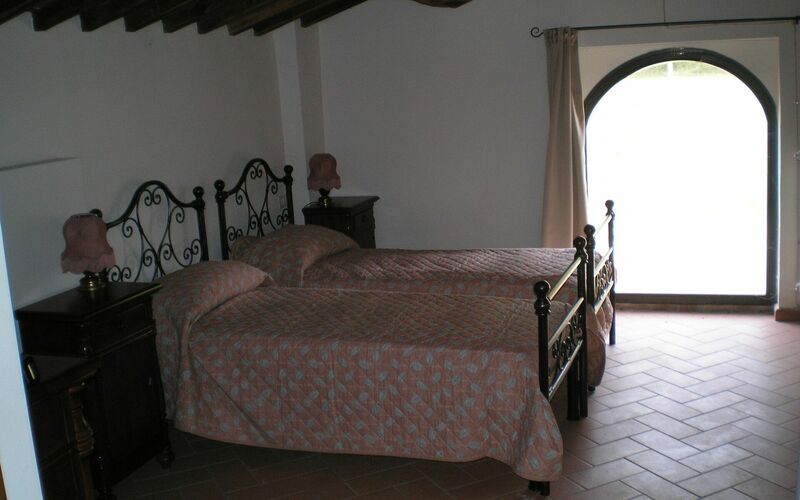 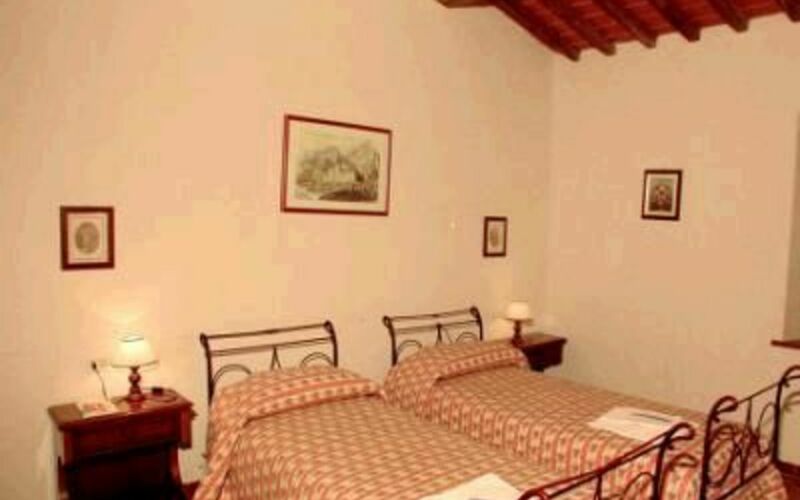 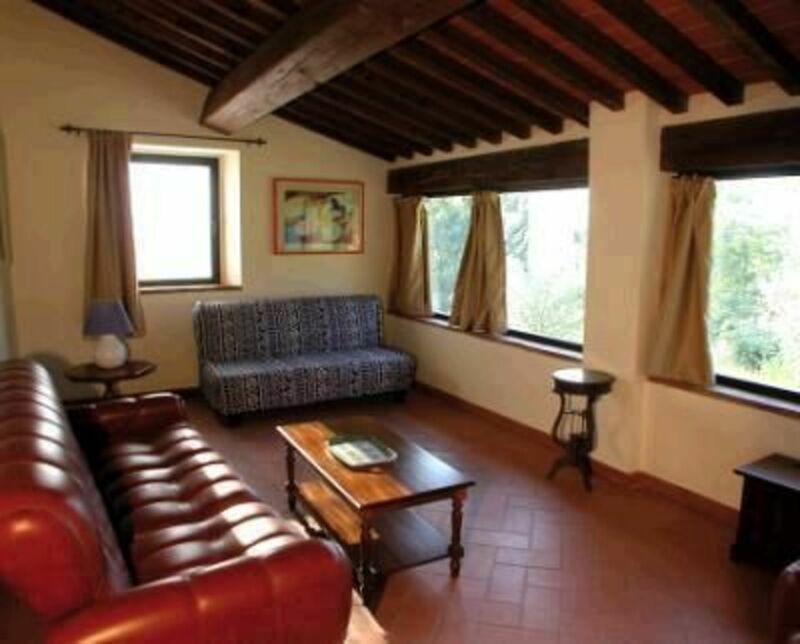 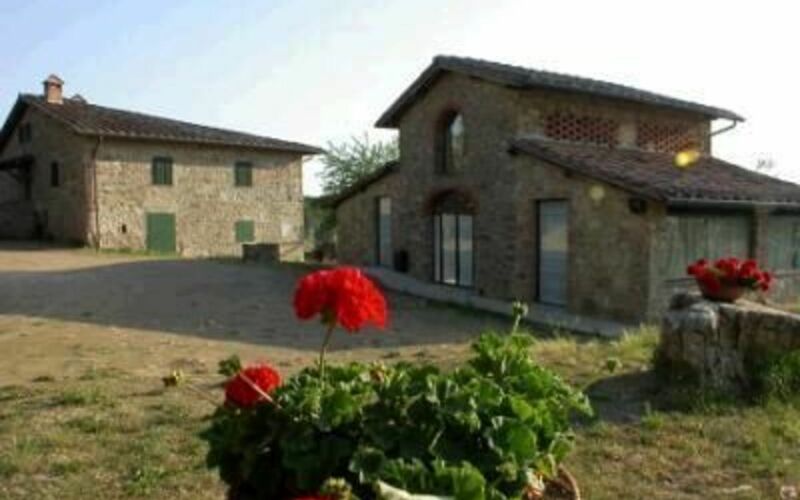 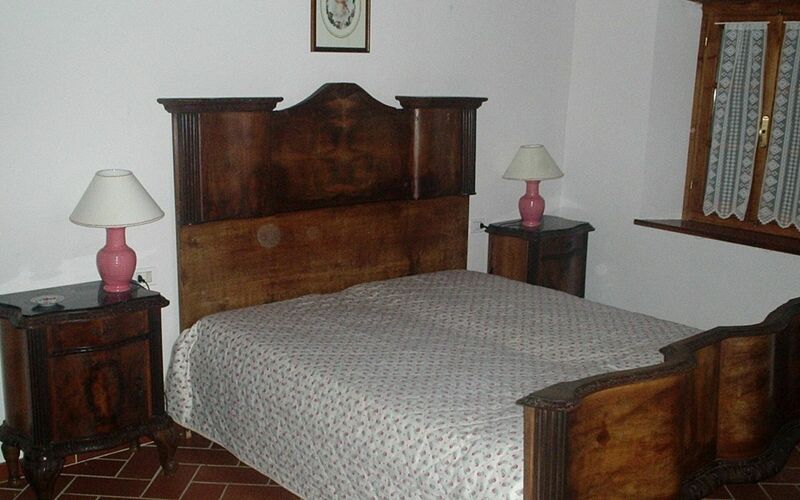 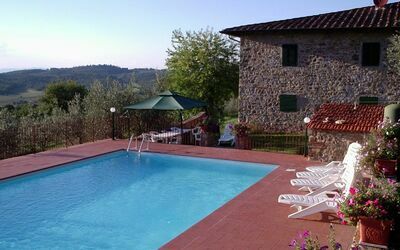 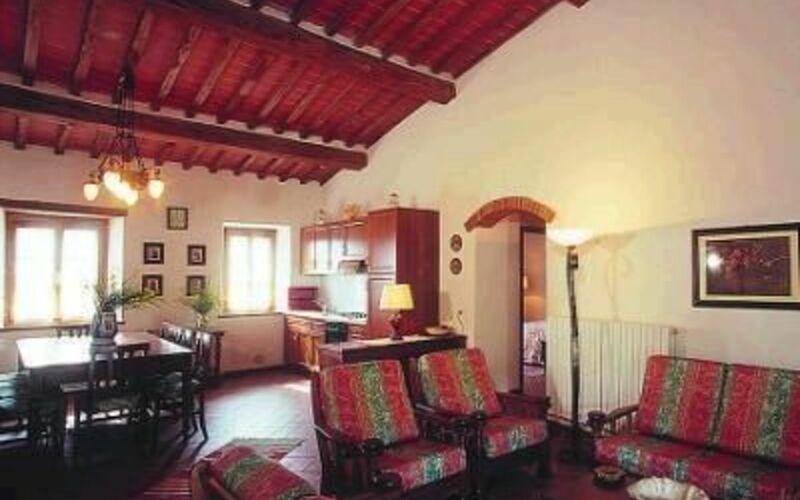 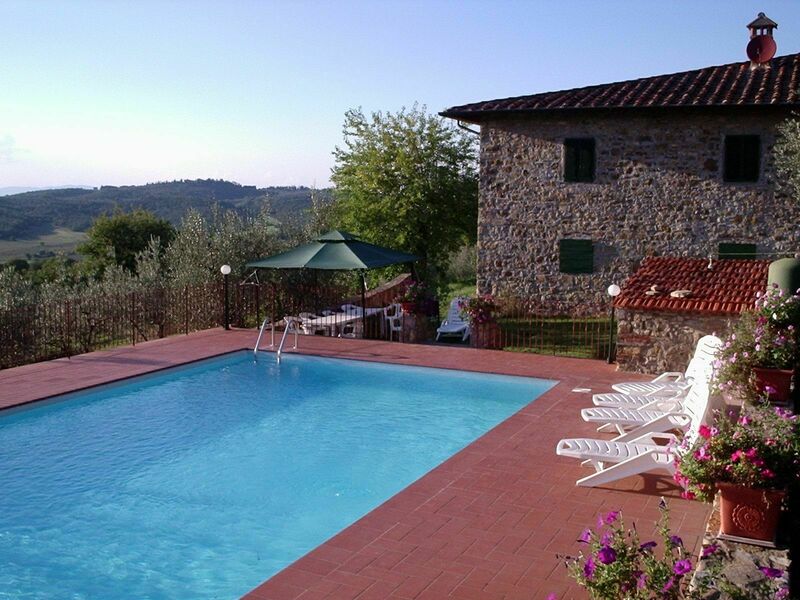 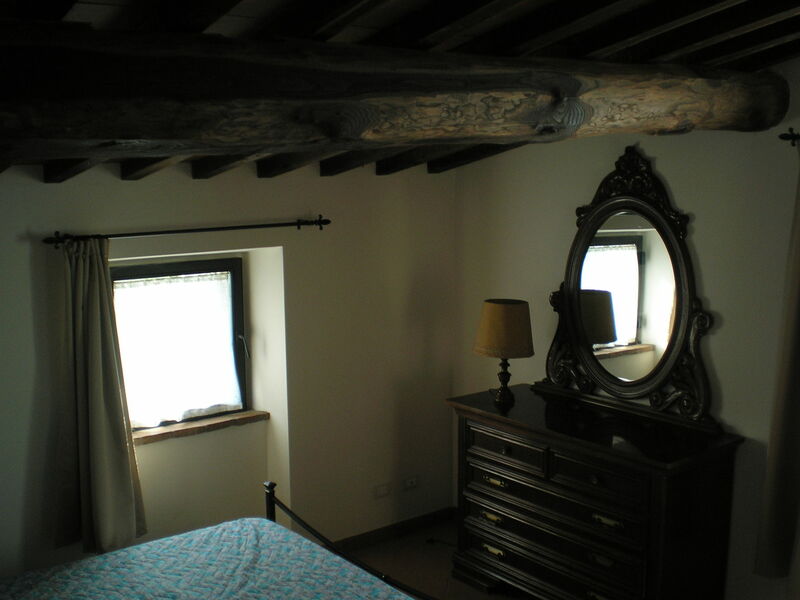 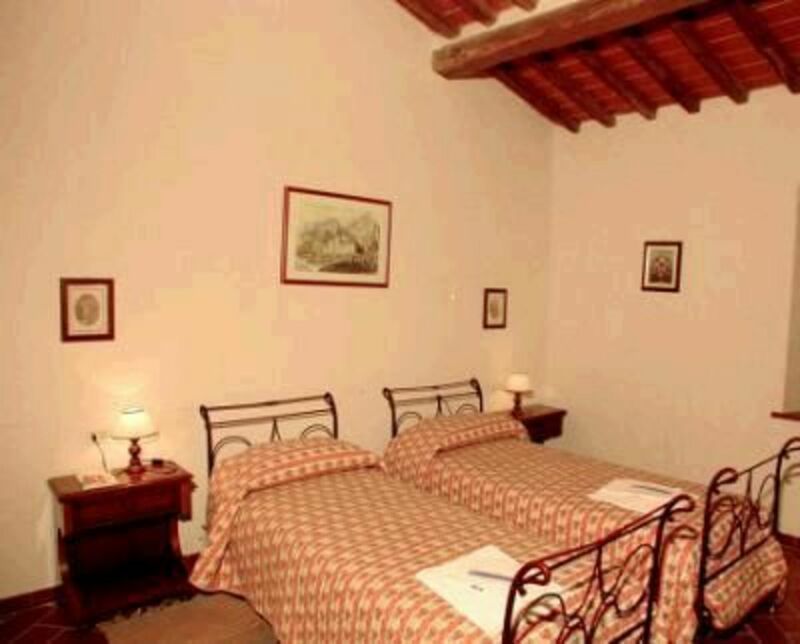 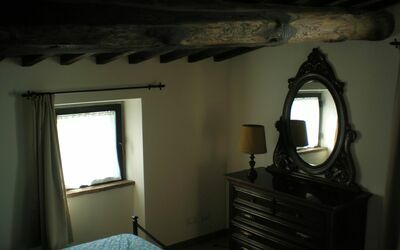 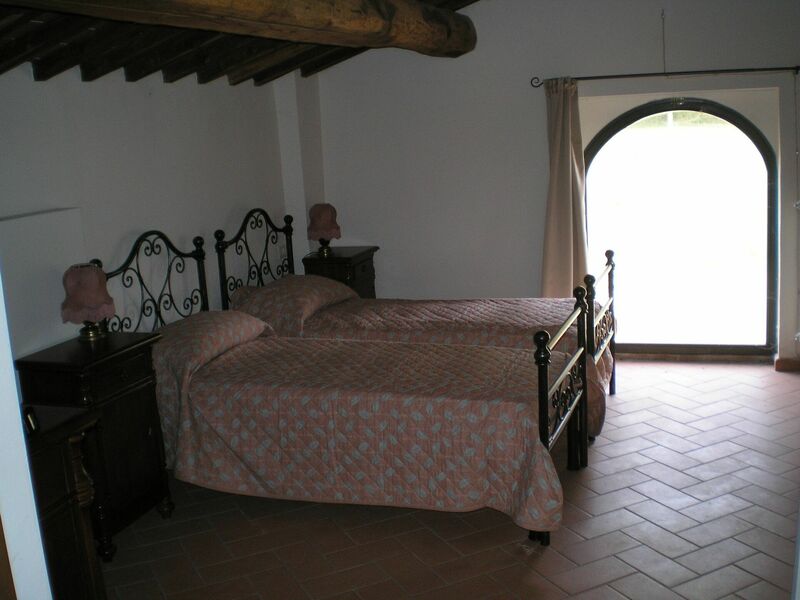 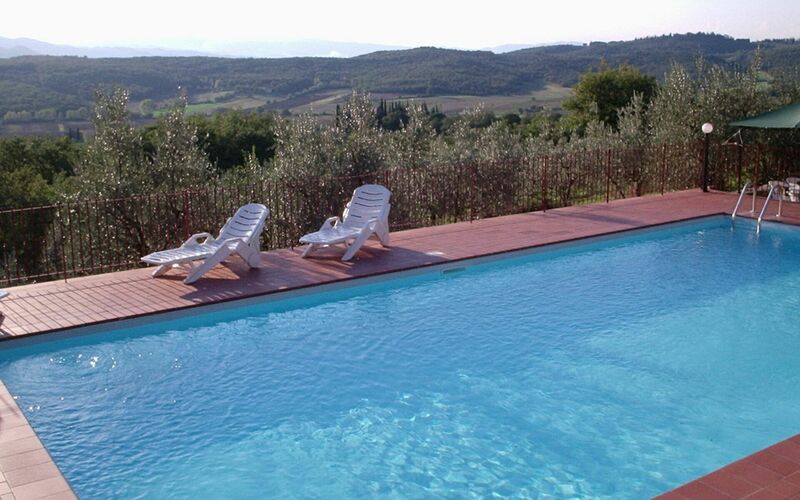 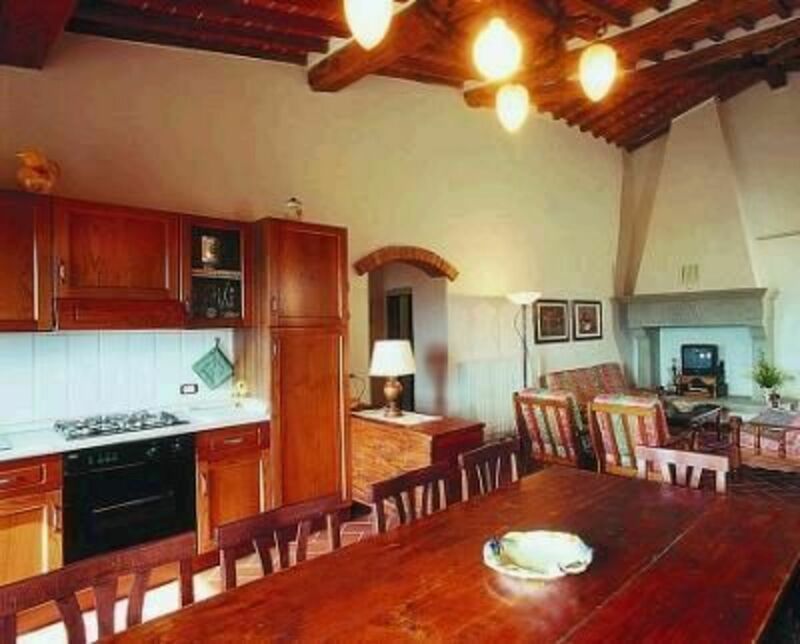 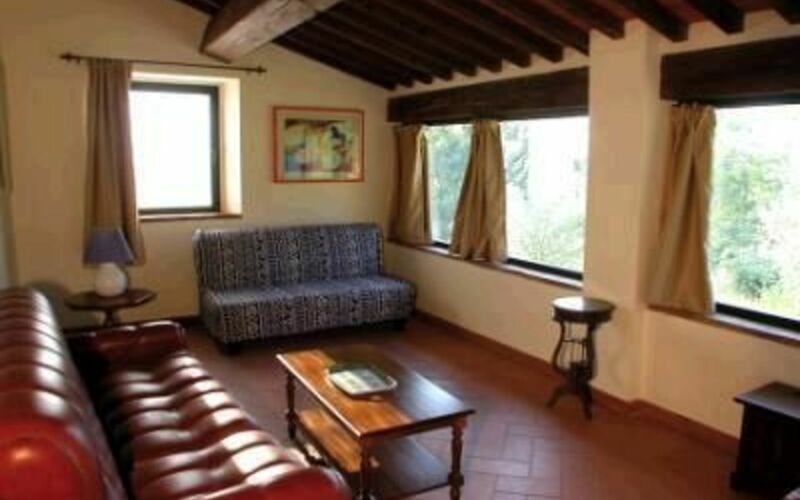 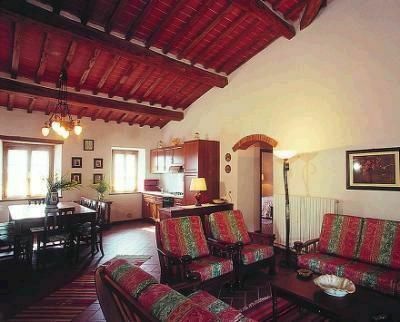 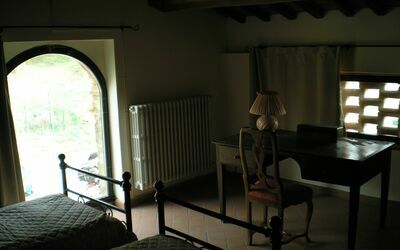 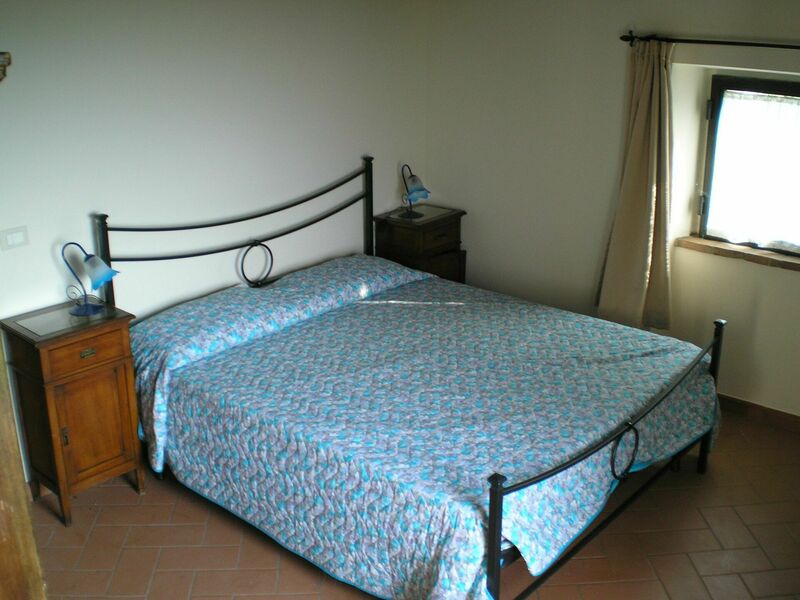 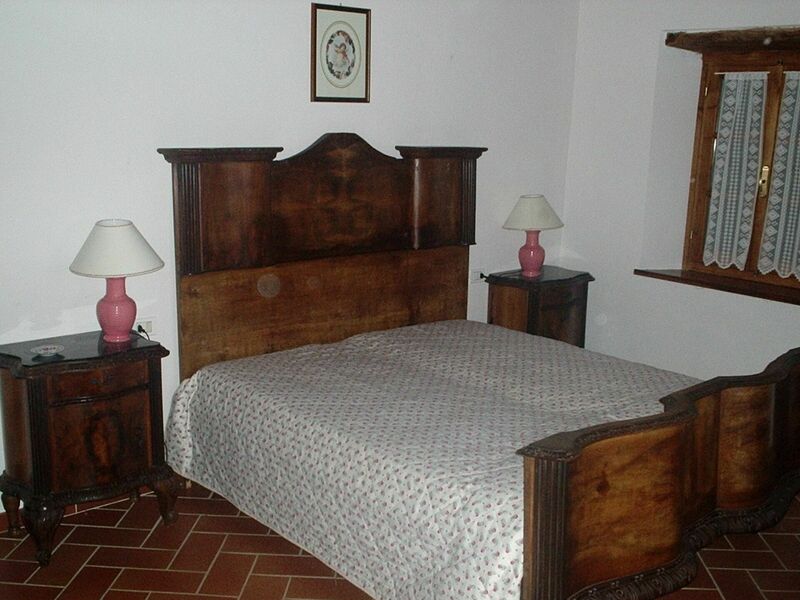 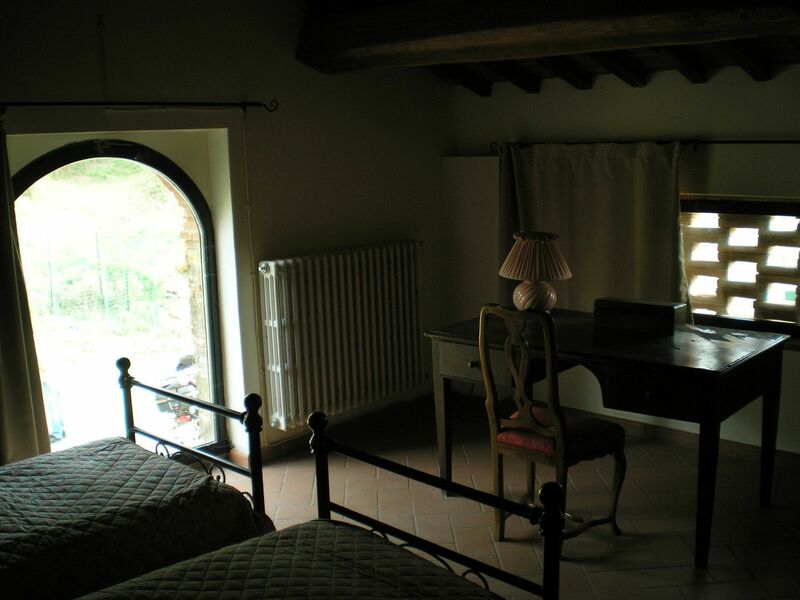 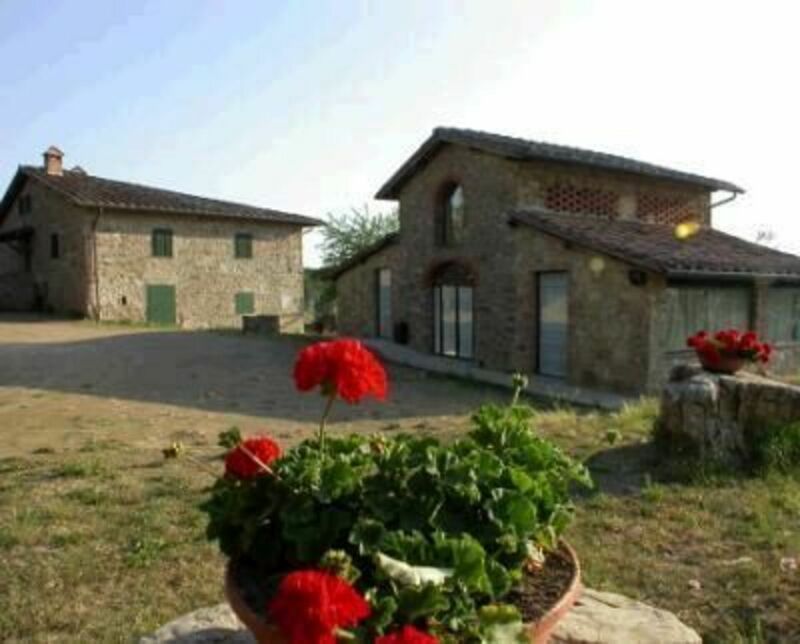 This typical Tuscan country house, with 4 bedrooms and 2 bathrooms is located between the hills of Chianti and Arezzo, with magnificent views of the woods, fields and the surrounding vineyards. 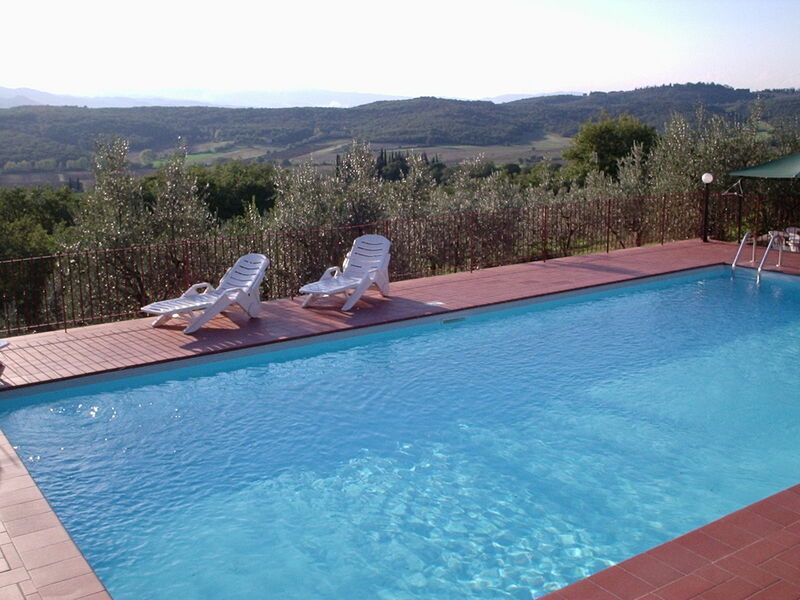 There is a nice swimming pool in panoramic position. 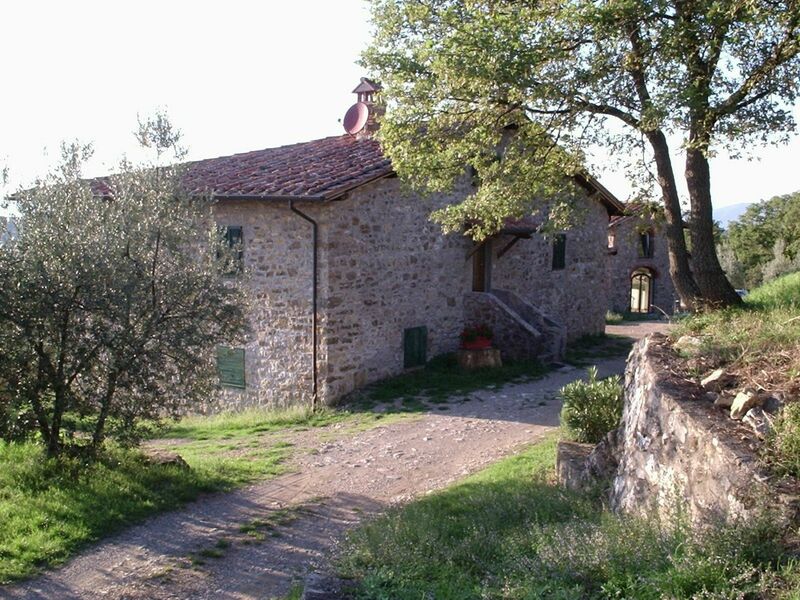 Easily reached from the main roads, Querciolaia is an ideal starting point for trips to explore the fascinating countryside and the interesting towns in the region. 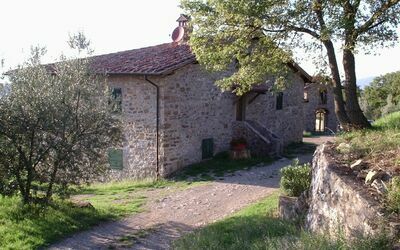 Grocers 800 m, supermarket 6 km, restaurant 1 km, railway station 'Laterina' 6 km. 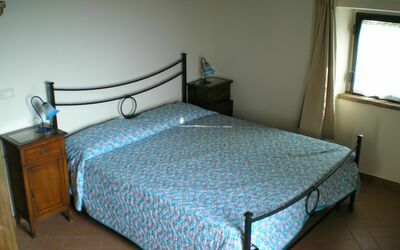 Main house 160 m2: going up 4 steps, living-dining room with kitchen corner and fireplace, three double bedrooms, twin bedroom (possibility of a double bed), two bathrooms with shower.